With over 200m2 dedicated to painting conservation, this is now the largest private facility in the country. 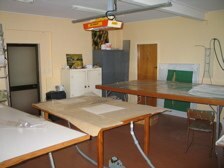 including a variety of suction and heated tables. 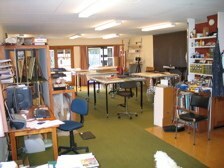 Set on 17 acres in Golden Bay, it provides an optimum working environment that is both quiet and secure.